Having plants around you in the middle of this concrete chaos is very important to not just make your space look pretty but also to instill serenity in your surroundings. The folks at The Happy Bench do exactly that for not just your balcony but also patios, decks and even windows. The Happy Bench believes that every human needs to keep nature close and more so if you stay in an urban space. 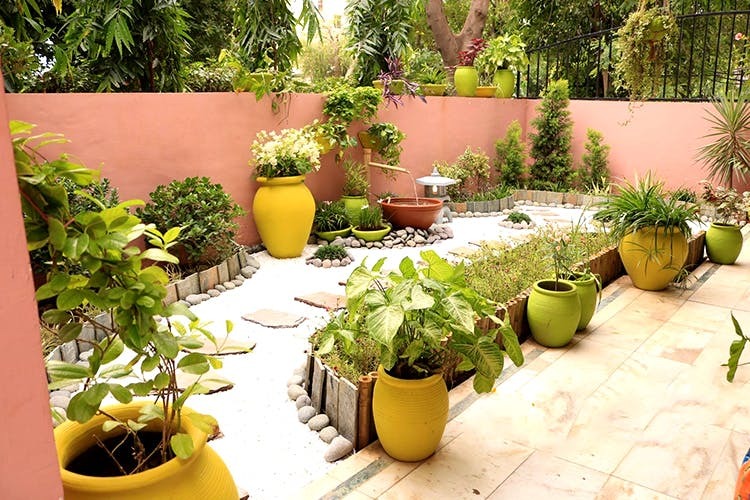 Hence, they will lend you a helping hand at taking your home close to nature by decorating the different corners with plants, trees, shrubs and flowers. The style they stick to is minimalism. They let you pick the different plants and pots you want to add to your space because they believe that your space needs to be a reflection of your style too. However, they do not leave till they decorate your chosen area with everything natural. And once they’re gone, you realise how fresh your house looks and feels. If you want to welcome some greens to your urban space but are absolutely clueless about how to go about it, don’t hesitate and just call up the nice folks at The Happy Bench and let them do it all for you.